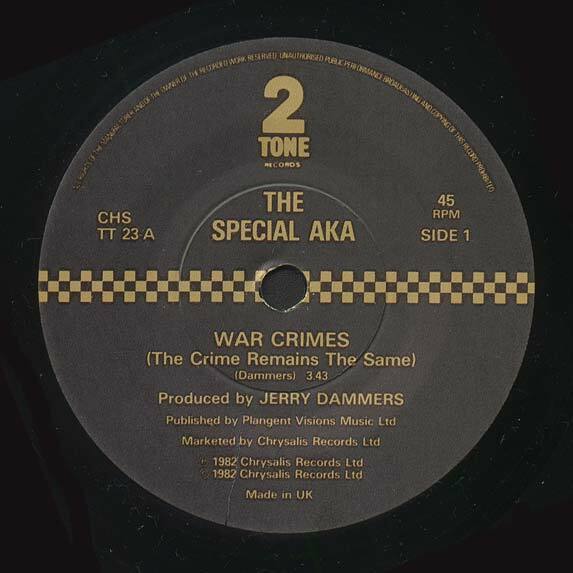 The first Jerry Dammers composition to be issued since 'Ghost Town', 'War Crimes' expressed horror at the bombing of civilian targets and the massacre of refugees in Beiruit. 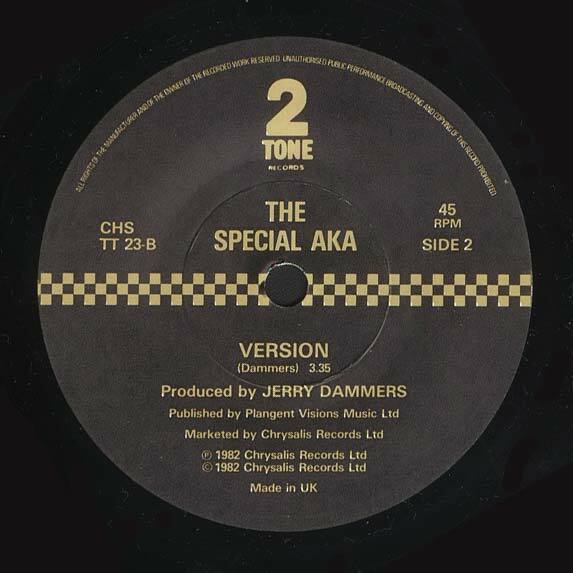 Though Horace Panter parted company after this recording, the new line-up was starting to take shape, with Rhoda Dakar, John Bradbury, John Shipley, Egidio Newton, Stan Campbell & the late Gary McManus forming the crux of the band through the 'In The Studio' recordings. 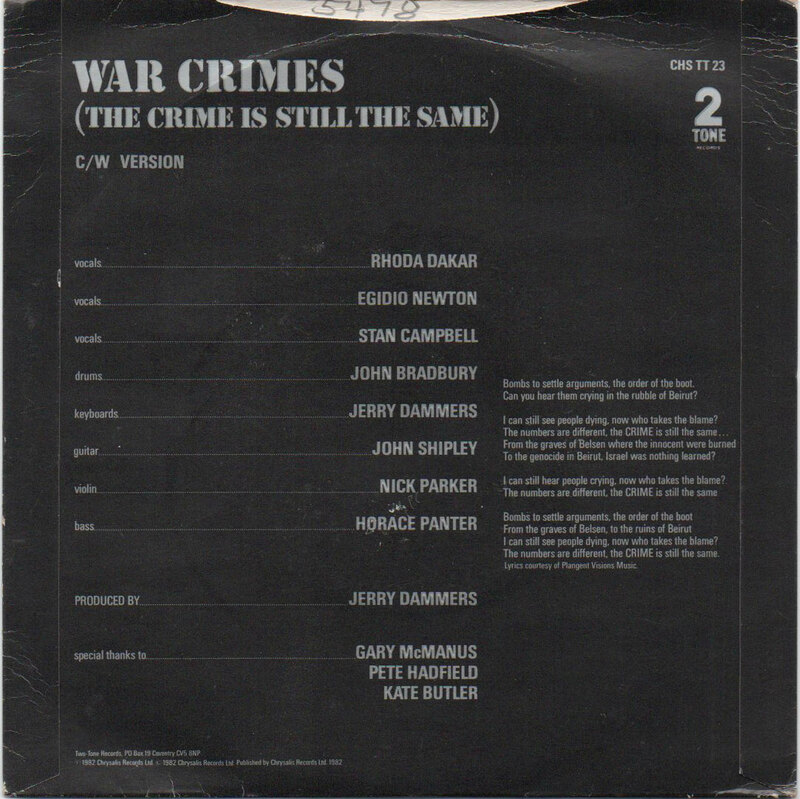 Nick Parker also featured here on violin. 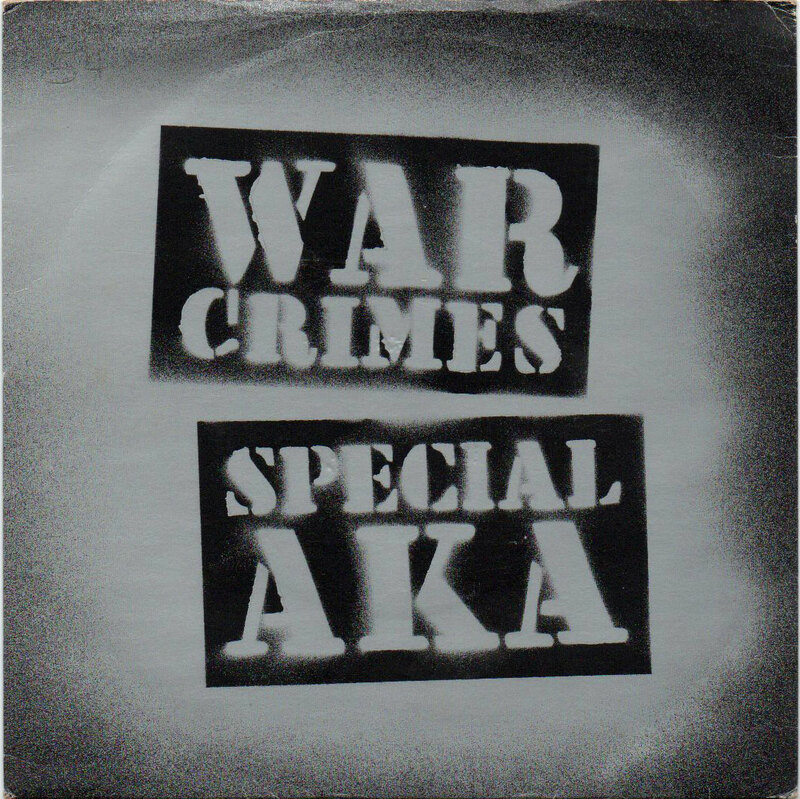 Although 'War Crimes' & 'The Boiler' were greeted with the expected airplay & media contoversy, they received definite praise - "we like what you're saying, but we can't let you say it" - but both records failed to chart in any big way, a fact that was trivial in comparison to the subjects that inspired them.